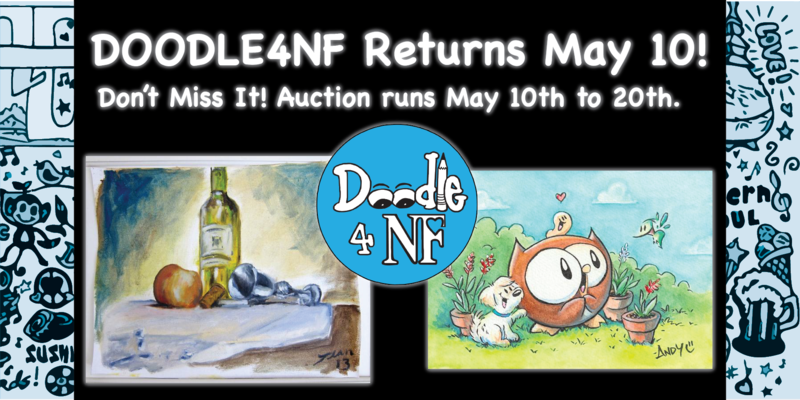 Doodle4NF is an annual fundraiser for the Neurofibromatosis Network. Autographed Celebrity Doodles are collected year-round and offered for sale during a 10-day auction each May. The 2018 auction begins on May 10th and ends on May 20th. If a Celebrity Doodler submits two Doodles, the second is posted on day 2 and continues to day 11 (May 11th thru May 21st this year).